What does a home stager do? Becoming a home stager in today's challenging real estate market. What does a home stager do? Becoming a home stager in today’s challenging real estate market. Wondering what exactly a home stager is? Thinking of becoming a home stager? Today’s real estate market is the perfect climate for the home staging industry. With a high level of inventory in the real estate market, it is even more important for homes to look their best. Because 88% of home buyers search the internet before even contacting a real estate agent, the first impression is now online. Home staging addresses that first impression through careful attention to detail in the presentation of the property. Home stagers aren’t decorators. We are careful marketers. We help to control the buyer’s eye with conscious placement of furniture, art and accessories. It is our job to understand buyer demographics, psychographics and trends. And we are catching on. Never has the real estate market been more accepting of home staging with over 80% of agents now recommending it, according to homegain.com. 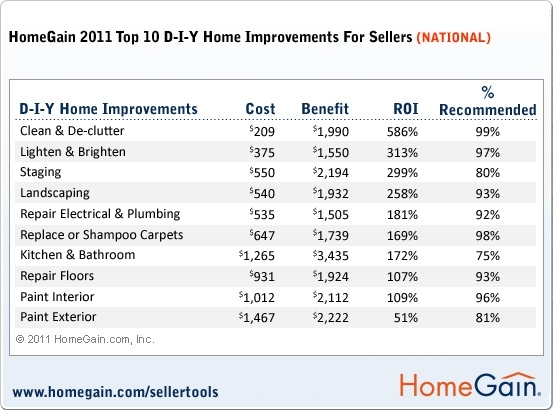 CNN & Career Builder listed home staging as the #1 emerging job poised for growth. Now is a great time to start a home staging business. Our online home staging courses allow you to learn at your own pace. Our home staging training packages allow you to bundle your training with other business builders, like website creation, online home staging checklist programs, inventory management and vacant home staging training.